I think most of us now know that you shouldn’t leave things like laptops, phones or iPods in our cars. We still worry about people stealing our wheels, but our seats? Most people probably don’t think about that. Admittedly, I wasn’t aware this was a thing, but apparently it is: people have been stealing the third- row seats out of certain GM SUVs because it supposedly isn’t that difficult. A reader wrote in to us last night and said that his friend got the seats jacked from his Chevrolet Tahoe the night before while it was parked in a hotel parking lot. A quick Google search return quite a few news articles, reporting on that very kind of theft. A family from Salt Lake City discovered the third row seats of their Chevrolet Suburban missing when they woke up at their Newport Beach hotel one morning in 2016, reported KUTV. Police in the Dallas area said they documented eight cases of seat theft in 2016 and over 20 in 2017, reported CBS DFW. The thieves have figured out that if you pop the rear window hatch of these SUVs, you don’t trigger the car alarm, wrote ParkCitiesPeople. From there, you can simply reach in, unhook the seats and pass them through the open hatch. 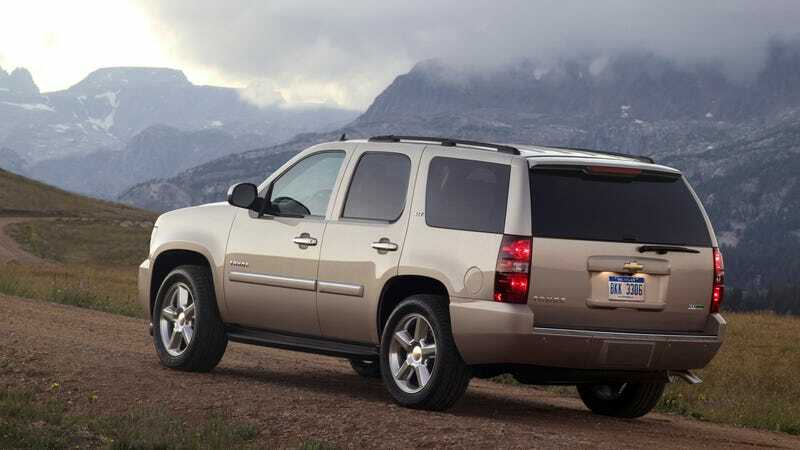 They seem to target pre-2015 GM SUVs, like the Suburban, Tahoe, Yukon and Cadillac Escalade. The reason for the sudden spike in seat thefts, theorizes one local Texas police media manager, is due to the demand for the resale of seats from other people who have gotten their seats stolen, according to CBS DFW. It can cost a few thousand dollars to get a set of seats replaced at a dealer, but a quick search on Craigslist shows third row seats available for a couple hundred bucks. Where those seats came from is unclear. Ostensibly, if you buy from a shady, third party seller, you could very well be buying your own seats back. Various local police departments interviewed by the outlets suggest that owners can take steps to prevent future thefts, such as removing the third-row seats when not using them, purchasing an aftermarket locking system, etching VIN numbers onto the side of the seats to make them easier to track down later and to park tail-in when in a garage, thus preventing the hatch from being easily accessed. It’s ridiculous that people are stealing seats out of cars, but I guess this is the world we live in. Keep an eye on your stuff.